Almost simultaneously with the rise of the internet since 1998, online marketing started growing as well. As the use of the internet rose, online marketing became increasingly important. Why is that? Through online marketing reaching a large group of consumers has become easier. The number of active internet users has increased exponentially in recent years. Companies also see more and more sales and investments through online marketing. Online marketing has become important for many companies in recent years. Moreover, individuals can now become internet marketers and reach whatever audience they are targeting. Read on and I will give you the reasons why online marketing has become so important. Furthermore I will hand you my number 1 recommendation to get in on this action! 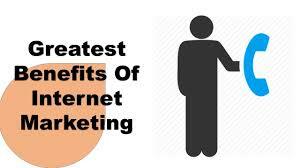 What advantages does online marketing have over offline marketing. Optimization. Does the online campaign not achieve the desired result or should a different message be transferred? You can adjust this in real time online marketing and optimize the campaign. The total market is shifting more and more to online and more is being bought online. This also requires more online marketing. Be assured that if you do not use online marketing, the competition will do it. Online marketing is here to stay. It makes it possible to break geographic boundaries and increase your accessibility. Online marketing is everywhere and always present. So here are the reasons that make it so significant. With online marketing you have the opportunity to reach the target group very specifically and quickly. Online marketing gives you the opportunity to target prospects, a target group that has never before been in contact with your product/service, in different ways. Prospecting is intended to generate visibility and new visitors. Often we look at the number of impressions, clicks and click-through ratios. The number of impressions on the web actually indicate how ‘visible’ you have been with your target group. Clicks and click-through ratios are the number of times a potential customers clicked on the ad and viewed it. The great thing about online marketing is that you can retarget. With retargeting we approach people who have already been in contact with your product or service, but have not (yet) bought anything. By re-approaching this group of people, you ensure that they make a purchase sooner, simply because with your product or service you remain ‘top of mind’ with the potential customer. When you sell products online, the world is the market – or as far as you are willing to send products. Online marketing gives you the opportunity to approach more people faster and more directly. You can also create your presence at any time and on any device. People use their smartphone when they are on the road, desktop and laptop at work, but when you sit at home on the couch, you use your tablet again. By being present at the right time, with the right message and on the right device, the chance of conversion is greatest. Why? Because you have control yourself! 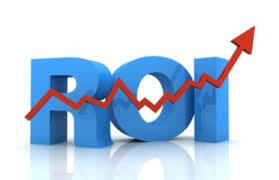 You also see a higher return on the investment when an online marketing strategy is used professionally. You work much more focused and can analyse everything with Google Analytics. This way you can quickly exclude campaigns that do not yield and use your budget efficiently for campaigns that are successful! Create awareness and stay on top of it, this leads to more conversions … or more value for money! Online marketing offers the possibility to test initiatives effectively and quickly. Of course there is the possibility to put a promotion code on a flyer or a telephone number in a magazine, but online marketing gives you the opportunity to follow the customer on many more variables. Where did a potential customer start looking, which search terms did he/she use and via which device was that done? Which text works best with which photo? Which benefits to be named have the most effect on the website? What colour should the button of your shopping cart be to stand out as much as possible? In short, how does a customer convert the fastest? Online marketing offers you the opportunity to work more responsibly, to map out the customer journey and thus more effectively use your media budget. Online marketing is real-time marketing. Press ‘publish’ and your message will be immediately distributed. Did you make a typo? No problem, this can be solved immediately! Traditional marketing is often time-consuming in publication and printing errors are difficult to adjust. How annoying is it if your data is, for example, wrong for a year in a magazine, book or guide? Or that the message does not match your target group! With online marketing, campaigns can usually be realised quickly, enabling you to respond immediately to changes in the market. Online marketing has the power to involve your customers. 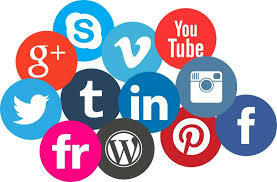 Think of social media such as Facebook, Instagram, Twitter or LinkedIn. Interaction with customers ensures that you create customer loyalty and increase involvement. The feedback that customers leave, both positive and negative, is particularly valuable. Learning from this feedback will give you the opportunity to grow as a company. Also for your NPS (Net Promoter Score), where the customer loyalty of an organisation is measured, it is important to interact with your customer. Various studies have shown that organisations with a high NPS have loyal customers who do faster repeat purchases. These loyal customers, also called ‘promoters’, are the word-of-mouth of your company! The more, the better, right ?! 7. The world from ‘offline’ to ‘online’! People nowadays orient and read more and more via the internet. You can publish a printed text in a magazine, but many large magazines also have a digital edition/version of it. Traditional media no longer have the exclusive right to publish. A blog can have many more readers today than a newspaper. A YouTube or Facebook video can be watched more often than a television program. For example, YouTube has more than a 30 million visitors per day! Publishing relevant information – also: content marketing – is good when you want to attract more traffic to your website. 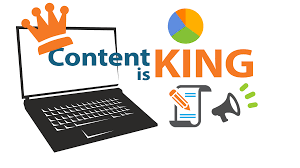 Content marketing also ensures customer loyalty and authority within your industry, which in turn leads to generating more sales. In short, whether you are a large organization or a start-up: online marketing is available to everyone. Because of the generally low investment and the high ROI, online marketing helps both small and medium-sized companies compete with the big boys. In the coming years it is of great importance to draw more attention to content marketing. Many entrepreneurs forget that content marketing is already extremely important, but in the future it will become even more important with a view to internet marketing. Read here how to make the best content. It is becoming increasingly difficult to stand out with your content and this is because a huge amount of content is available. It is important that from now on you are only concerned with high-quality content, including mobile content. The focus on quality content is a plus and that will mean that you will spend more time and money on this, but you will create content that differs from all other content. I myself am an affiliate marketer on the internet and I use content marketing as my main means of getting traffic to my site. In achieving this by being a member of the best support program in the world, getting me a website and teaching me the ropes of internet marketing. Read my full review of this program here. I totally agree with you Jerry! 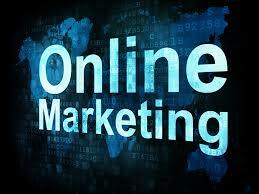 Online marketing is very important for everyone who is running an online business. This is specially important for those bussiness which are high competive. I like to use Facebook ads for my marketing but do you think that it pays of in the end? From now on online marketing will only grow as more and more people will find out about its possibilities. I have only just started using a business page on Facebook and do not know yet whether and how it will work.